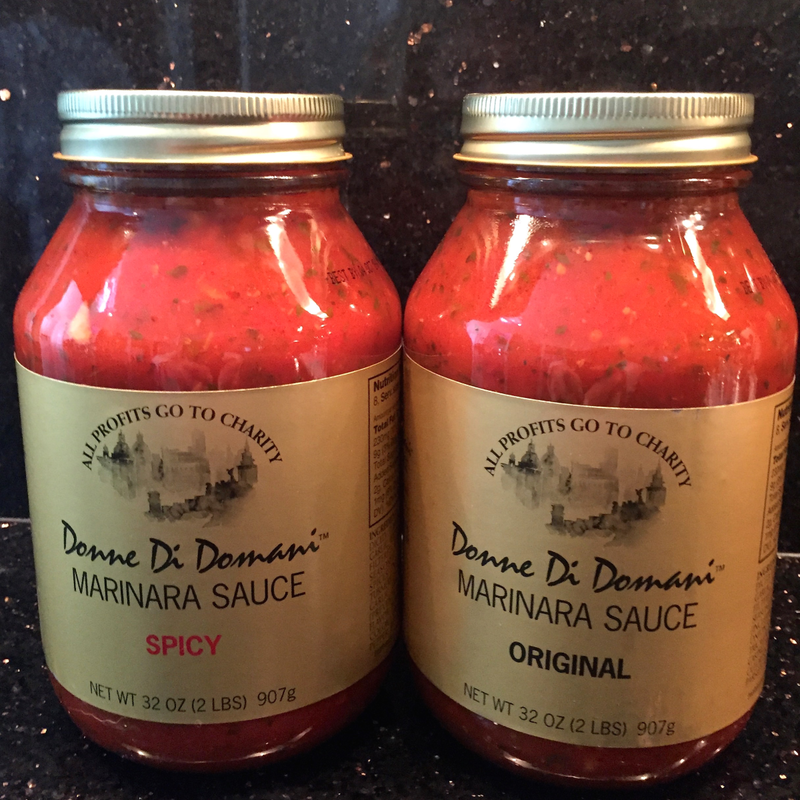 New report declares Houston among fastest changing cities in U.S.
For 28 years, the women of Donne Di Domani have been selling … and selling … and selling their authentic, old world Italian marinara sauce at the Nutcracker Market in Houston. 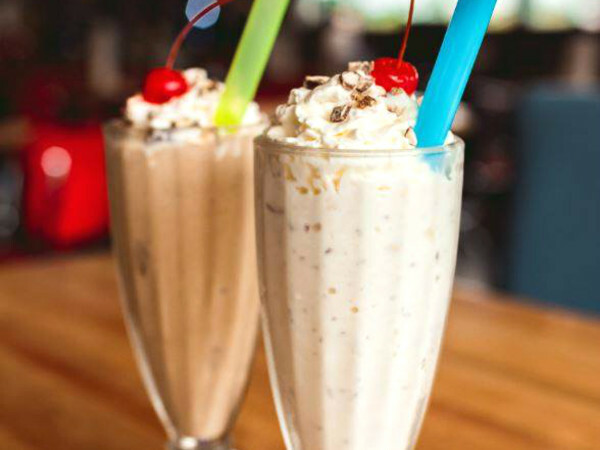 And they’ve donated every penny of profits to various charities, including women and children’s health and safety programs, local schools, and service organizations. Their sauce is legendary, and the sold out sign seems to go up earlier each year. Donne Di Domani means “Women of Tomorrow,” but around the Nutcracker Market, they’re “the spaghetti sauce ladies.” They’ve given more than $2 million to charities. You’ll find these Italian women (“and non-Italian women smart enough to marry Italian men”) at Booth 920 at the Nutcracker Market – just follow the stampede of customers when the doors open. People always ask: Why don’t you sell this sauce year-round? Why don’t you sell your sauce in supermarkets? How about online? Why don’t you just sell your recipe to one of the big national brands and walk away rich women? If they went on Shark Tank, the Donne women would have Mark Cuban and Mr. Wonderful fighting for a piece of their action. 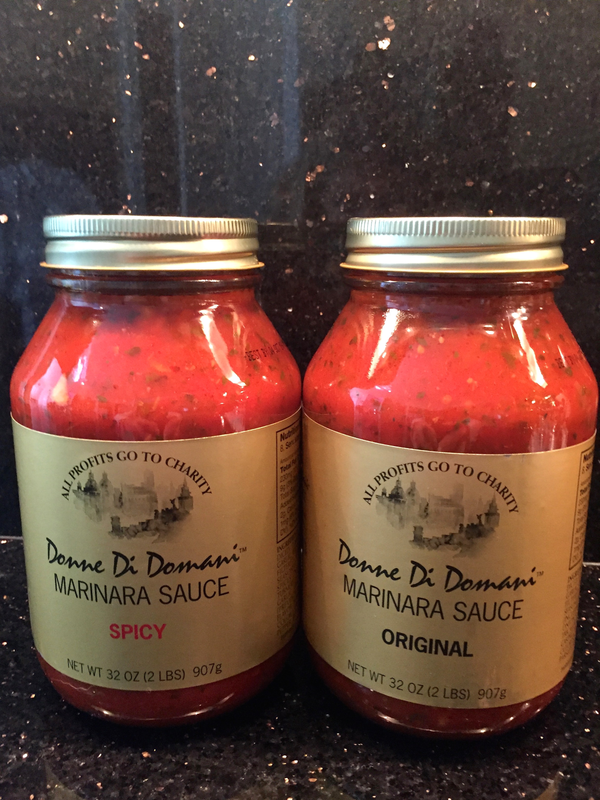 Donne Di Domani sells their marinara only once a year and only at the Nutcracker Market. That makes it special. I've seen the sauce at scalpers' prices on eBay the next day. I met the Donne Di Domani women about 15 years ago. I had heard about the commotion they cause at the Nutcracker Market and thought I’d do a write-up on them. They put me to work right away, tying ribbons around the finished bottles of sauce. I went back the next year, and the next, and the next. I sort of became part of the operation, an honorary Italian, which is what I should have been all along. I'm like Lady Gaga's song "Born This Way," only substitute Italian. I’ve watched them keep their long line moving at the Nutcracker Market. I’ve been in the room when they decided which charities to help out that year. One of the Donne’s charities is the Carmelite Nuns of New Caney. I don’t have much experience with nuns, but about 10 years ago, I was hit by a car and spent a little time in the hospital. While I was having my X-rays touched up, I got a note. Sister Angel and the Carmelite nuns were praying for me. In the words of my people, it couldn’t hurt. Another charity supported by Donne Di Domani is Patriot Paws in Rockwall, Texas. 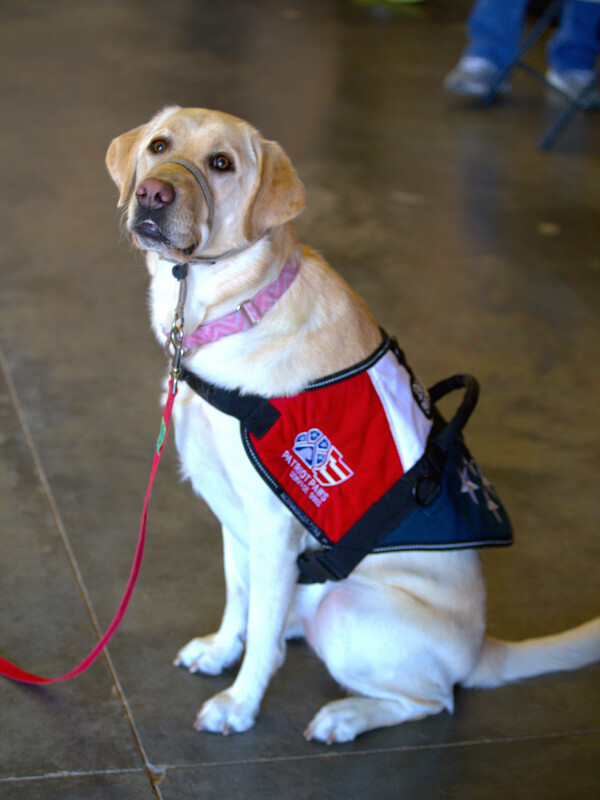 Patriot Paws trains service dogs for wounded U.S. soldiers. 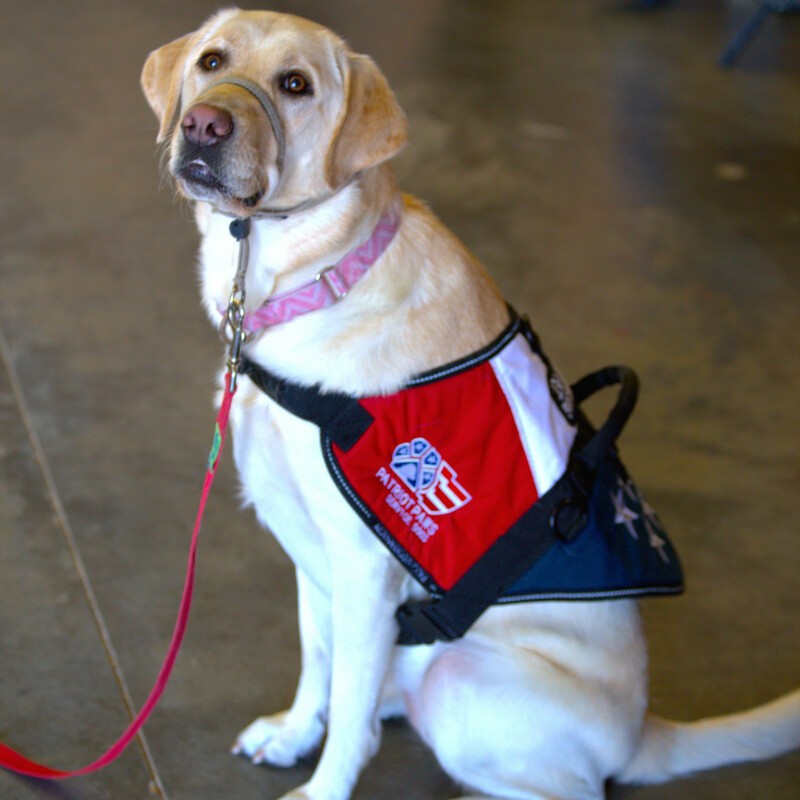 The dogs help soldiers with daily chores and emotional support. I’ve seen these remarkable dogs go through their paces. It costs $30,000 for Patriot Paws to train each one, and they give the dogs to soldiers for free. Donne Di Domani has inspired other groups to get behind Patriot Paws, too. Donne Di Domani named its first dog “Hoffy,” after me. 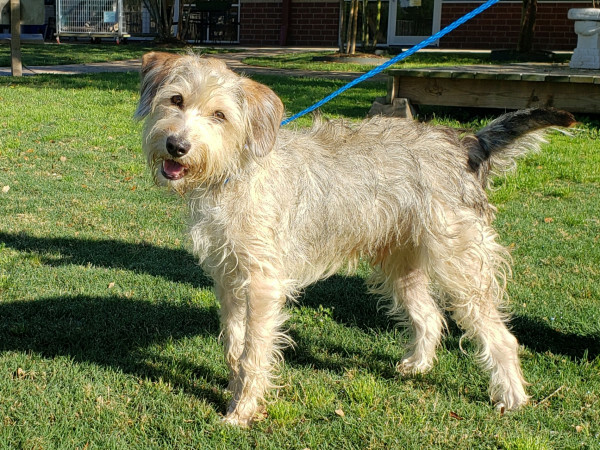 True to his namesake, “Hoffy” flunked out of the Patriot Paws program, and like a mobster who turns snitch to the feds, “Hoffy” is now enjoying the luxury life in an undisclosed location under a different name. Donne Di Domani's had better luck with its next two Patriot Paws dogs: Gunner and Saucy. Both passed with flying colors and will be given to deserving military heroes. While the spaghetti sauce hasn’t change in 28 years, and the price is still $10 a bottle, there will be some updates at the Donne booth at the Nutcracker this year. The bottles have a new label for Original and Spicy sauce, and customers will be able to pay by credit card. If you buy a case of 12 bottles, you’ll get 12 free recipe cards. 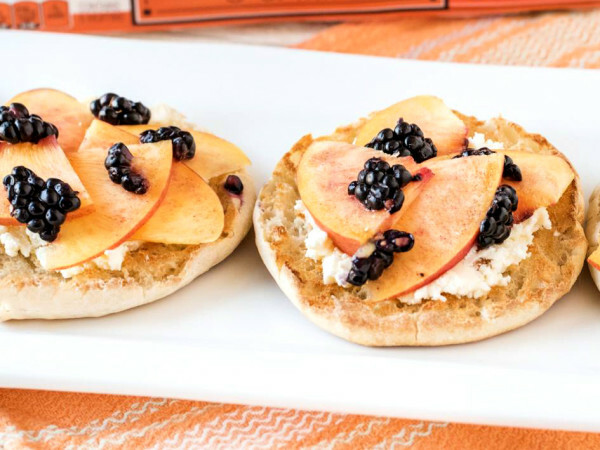 The Nutcracker Market, which benefits Houston Ballet, will run November 9-12 at NRG Center. There will be 280 booths, 53 of them making their first appearance at the market. The hours are 10 am to 8 pm on Thursday and Friday, and 10 am to 6 pm on the weekend. Tickets are $20 at the door, with half-off starting three hours before closing. One of the rookie booths is Gladys’ Bakery, which holds the Guinness World’s Record for largest fruitcake – 150 pounds. Another new booth is Hearth Hounds, which makes Christmas stockings that look like your dog. 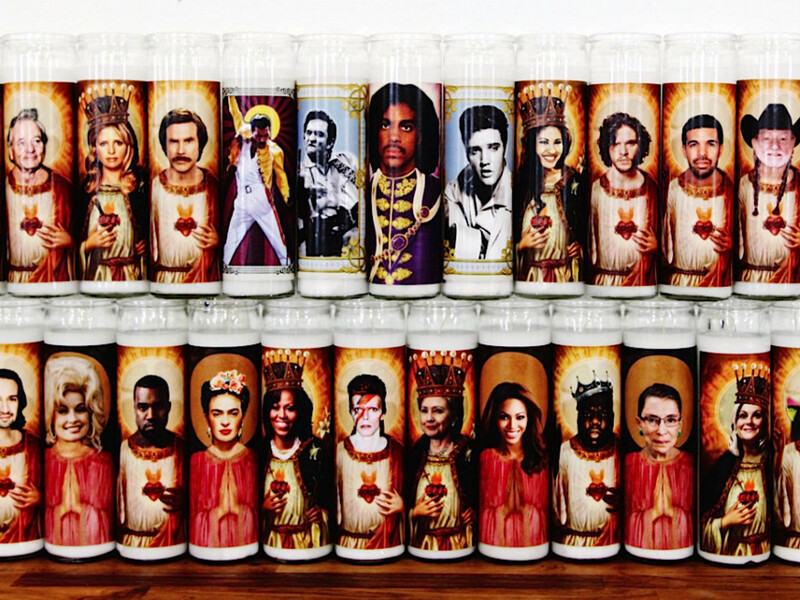 The Illuminidol booth sells prayer candles with images of pop celebrities. 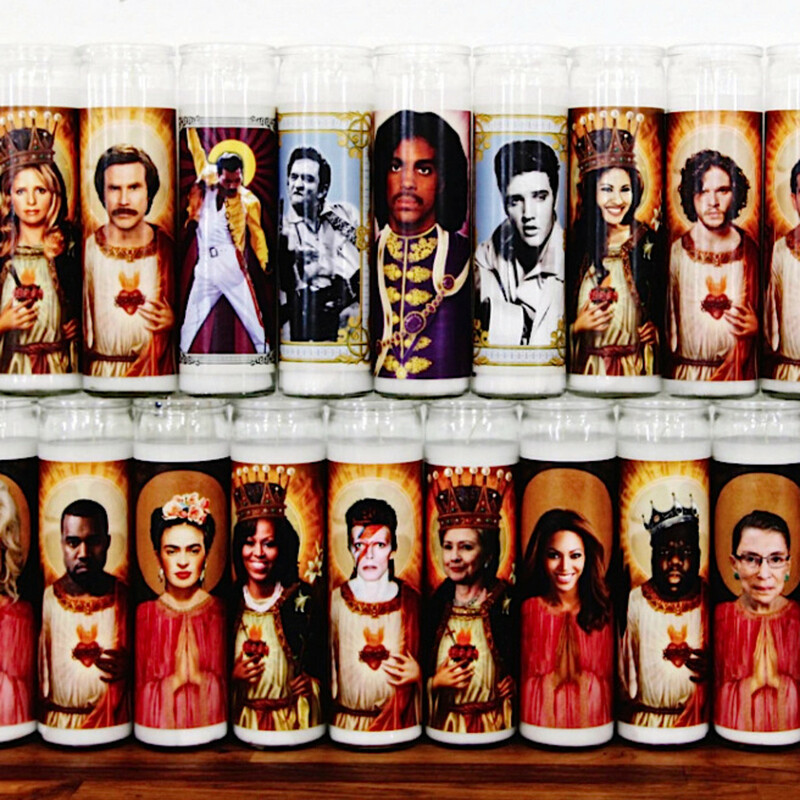 Put it this way, from solemn to nutty, if it has anything to do with Christmas, you can buy it at the Nutcracker Market. Remember the rules: no strollers, rolling carts, rolling bags, wagons, or pets are permitted inside the Market. Just think Bob Dylan’s "The Times They Are A-Changin’." Don’t stand in the doorway, don’t block up the halls, and you’ll be all right.